The statistic shows a distribution of the Horde races in the online computer game World of Warcraft as of February 2019. Approximately 33.3 percent of all Horde characters in U.S. realms were Blood Elf. 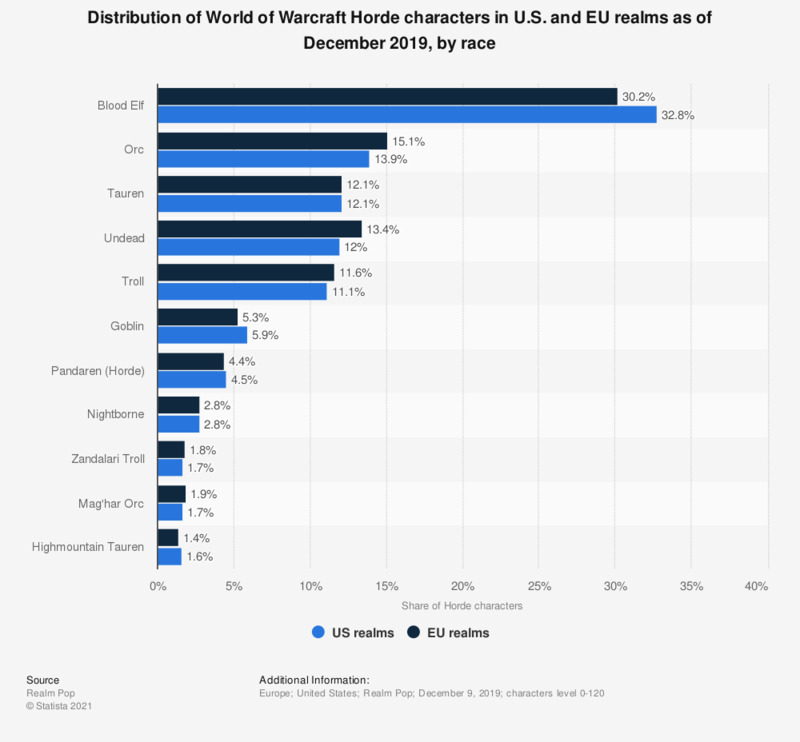 Overall, the Horde faction accounted for roughly 49.1 percent of characters in U.S. realms, while the remaining 50.9 percent was attributed to the Alliance faction as of February 2019. Alliance characters in the United States were mostly Human as well, followed by Night Elf and Draenei in the same period. In general, the Human race was prevalent throughout the World of Warcraft series. The totals differ from hundred percent most likely due to rounding off of individual components.